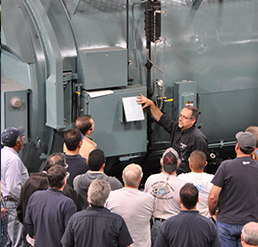 This two-day workshop is designed for maintenance, plant, stationary or mechanical engineers as well as maintenance personnel who are responsible for repairing and troubleshooting boilers. 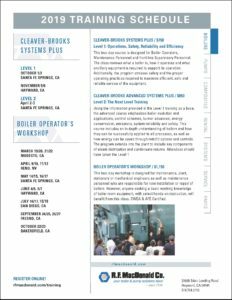 However, anyone seeking a basic working knowledge of boiler room equipment will benefit from this class. CWEA & AFE Certified. This two-day course is designed for Boiler Operators, Maintenance Personnel and front line Supervisory Personnel. 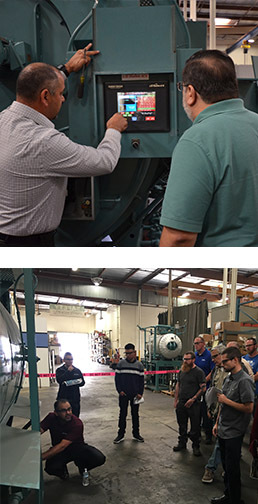 The class reviews a boiler, how it operates and what ancillary equipment is required to support its operation. Additionally, the program stresses safety and the proper operating practices required to maximize efficient, safe and reliable service of the equipment. 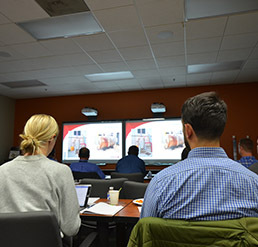 Using the information provided in the Level 1 training as a base, the advanced course emphasizes boiler evolution and applications, control schemes, burner advances, energy conservation, emissions, system reliability and safety. 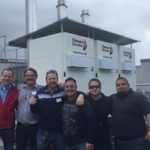 This course includes an in-depth understanding of boilers and how they can be successfully applied to all processes, as well as how energy can be saved through retrofit options and controls. The program extends into the plant to include key components of steam distribution and condensate returns. Don Williams is R.F. MacDonald Co.’s Boiler Division Corporate Trainer. 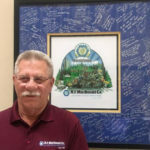 Williams has been in the boiler business for 45 years as a boiler operator, design engineer, service manager and now as a corporate trainer. Williams also performs custom, onsite training where he performs site-specific and equipment-specific training. Each presentation begins with a site visit with identification of boiler system and application needs. 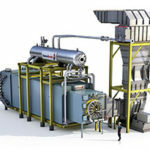 Williams then presents a detailed analysis on the customer’s boiler and burner design, controls for operator interface, combustion basics and a breakdown on how to operate and maintain the boiler equipment. 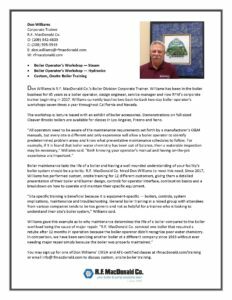 You may sign up for one of Don Williams’ CWEA and AFE-certified training classes by registering online or email info@rfmacdonald.com for custom, onsite training.